At Office Interiors, we strive to set ourselves apart from our competition in three ways that we call our Three Key Uniques: our proven and measurable superior service, our scope of workplace offerings in both office furniture and technology with complete coverage all across the Maritimes, and our employees’ commitment to the community. Don’t just take our word for it—we have the industry certifications and customer feedback to prove it! 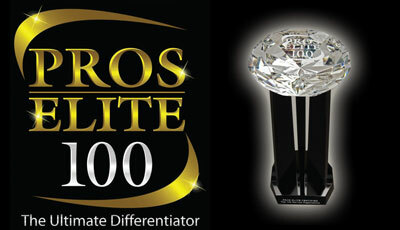 PROs Elite is a third party organization regarded as industry experts in assessing the top 100 performing imaging dealers. Office Interiors was the first of four Canadian dealers to earn the certification and are the only certified dealer in Atlantic Canada. Haworth’s Best in Class program independently scores dealers on their Customer Satisfaction, Sales, Operations, and Finance and Administration. Only 10 percent of Haworth dealers in North America attain the highest level of recognition and are awarded Best in Class. Office Interiors has been named Best in Class in 2012, 2014, 2016, 2017 and 2018! The Net Promoter Score system is a tool that measures customer loyalty by asking customers whether or not they would recommend the product and services of a company to a friend. Customers are surveyed after every interaction with Office Interiors and we are thrilled to have a grade of 87 out of 100. Consumer Choice Awards uses a third-party research firm to poll thousands of consumers and businesses to determine the top provider in each product category in a specific market. Office Interiors has been awarded the Consumer Choice Award in both the office furniture and imaging categories every year since the Consumer Choice Award debuted in Halifax in 2010. We are the only dealership in Atlantic Canada that is able to provide our customers with a complete offering of office furniture and technology. We are the Maritimes’ most comprehensive office furniture provider and the region’s only Haworth preferred dealer. We have Atlantic Canada’s largest selection of copiers, printers, phone systems and mailing machines from global leaders Ricoh, Panasonic and Neopost. Our managed print consultants provide our customers with recommendations on how to best deploy your print devices to increase workflow efficiency, improve employee productivity, and reduce the total number of required devices. Our software solutions provide our customers with more efficient methods of producing, capturing, distributing, managing, and archiving documents so that they can increase the efficiency of their internal processes and workflows. We believe that it is our responsibility to give back to the communities that helped us get to where we are today. Contributing to our community is a Core Value and long-standing tradition at Office Interiors. As an organization we financially support dozens of non-profit and community groups each year, but we believe that we have more to offer our communities than money. That’s why we encourage each and every member of the Office Interiors team to volunteer in their community, even on company time. Click here to read more about our involvement in the local community.